Yes! Bring him back! The NHL is always more entertaining with St. Patrick around. With so much movement on the coaching front around the NHL these days, it’s kind of surprising that we haven’t heard much about former Jack Adams Award winner Patrick Roy. The Hall of Fame goaltender and former Colorado Avalanche head coach left the NHL abruptly in the 2016 offseason and nary a word of his NHL return has been spoken of… until now. According to NHL insider Elliotte Friedman, Roy is in serious consideration to join his old buddy Rob Blake with the Los Angeles Kings. Check out this little tidbit that Friedman dropped on his most recent 31 Thoughts podcast with co-host Jeff Marek. Friedman: This may be irrelevant quickly, but if McLellan goes elsewhere, the assumption is the Kings’ next targets will include three others with ties to Blake: Tony Granato (played with him in Los Angeles); Bob Hartley (played for him in Colorado); and Patrick Roy (played with him in Colorado). Friedman: I’ve heard Roy as part of this. 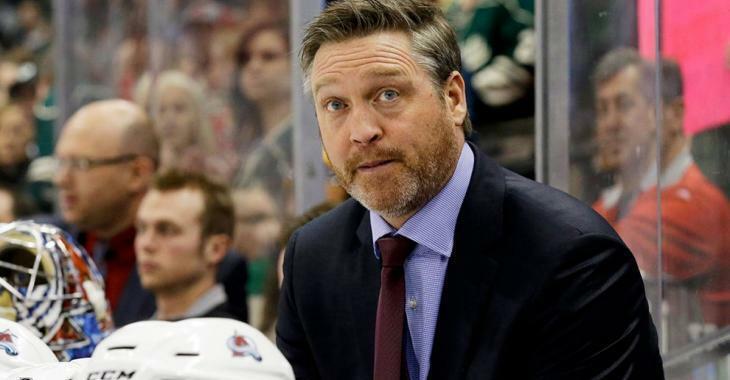 Marek: Patrick Roy back in the NHL? Friedman: Yeah, I’ve heard Roy in the conversation. Please, please, PLEASE make this happen Mr. Blake. Even if you’re not a fan of Roy you have to admit that he just makes everything a little more entertaining. On the ice you either loved him or you hated him. Off the ice… well, what’s the old saying about a tiger and its stripes?